Clarkston and Waterford Oral Hygiene | David A. Wright D.D.S., P.C. 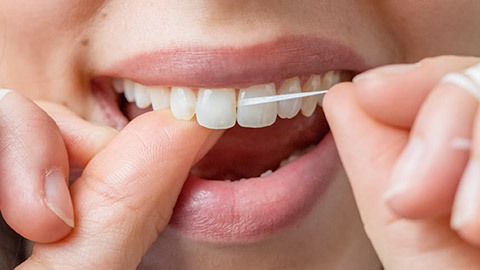 Brushing and flossing your teeth properly and regularly, as well as making routine appointments with your dentist, are the best safeguards against the threats of cavities, gingivitis, and malocclusions. We not only believe that your teeth have to look good and healthy; we make sure that they are healthy and remain that way as well. A healthy set of teeth means a beautiful, healthy-looking smile. Apart from maintaining your dental health with cosmetic dentistry, orthodontics, dental restorations and dental implants, we offer our patients good, old-fashioned oral hygiene and cleaning sessions, thorough check-ups. Making regular appointments to your dentist is vital for good dental health. It is an established fact that cleaning your teeth routinely preserves them and protects them from various oral diseases and complications. During our oral hygiene and cleaning sessions, a dental hygienist will clean, scale (remove plaque) and polish your teeth, as well as apply fluoride in order to make your teeth more resistant to cavities. We also teach our patients how to brush and floss properly, and encourage behaviors that will foster good dental health. If you need more information about Oral Hygiene/Cleaning in Clarkston and Waterford, contact us today.